Magic and Mayhem: the Art of Magic presents BATTLE MODE! 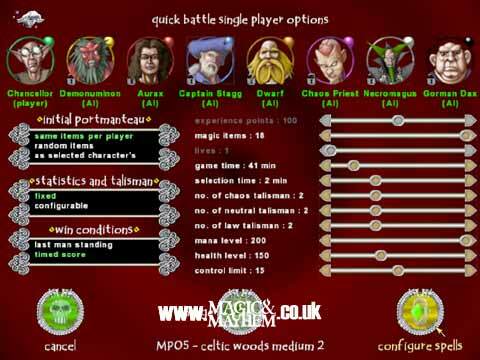 Despite a single player campaign, the real star of Magic and Mayhem: The Art of Magic is battle mode, which allows players to compete against each other in singular battles. Vary the options, and find out who has truly mastered the Art of Magic. More details.